Personally, Command prompt is boring and Powershell comes with comparatively lot more features and commands that can make your life easy. 1. Powershell Cmdlets are easier to remember (the Verb-Noun Pair) compared to CMD commands. 2. Powershell looks great in Blue color ( ~ My Favourite Reason 😉 ) compared to conventional black and whites of CMD prompt. 3. 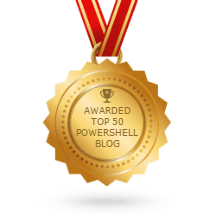 Powershell is combination of Cmdlets and Legacy Windows Commands, that means Legacy commands like Ping, Ipconfig, Hostname and more can be run with ease in powershell. 4. PowerShell makes use of Pipelines ‘ | ‘, just as Linux and other Unix-like systems. Pipes allow us to pass the output of one cmdlet to the input of another cmdlet, using multiple cmdlets in sequence to manipulate the same data. 5. Powerhsell can combine Legacy Commands and Cmdlets together, like below. Above command will use powershell cmdlet Get-Help to open about_pipelines help file and pipe the output to the Clipboard using legacy ‘Clip‘ command. So guys, No more holding back and it’s Time to move on to Powerhsell from the old windows command prompt.